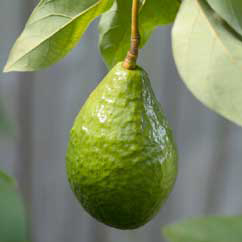 Avocado oil is used in our cellulite cream. It is a versatile, rich and deeply penetrating vegetable oil used in cosmetic manufacture as well as aromatherapy. The Persea americana tree - avocado tree - yields this deeply penetrating, rich and nourishing oil containing vitamins A and D, lecithin, potassium as well as vitamin E and is used in our cellulite cream. It is very beneficial for dehydrated and undernourished skin and helps with regenerating the skin and softening the tissue. Avocado oil is easily absorbed into deep tissue, and has good emollient as well as antioxidant properties. Avocado oil is a fixed oil obtained from the avocado pear tree - Persea americana, but the oil is known as Persea Gratissima. The oil is expressed by pressing the dehydrated sliced flesh of the avocado pear. Chemically it is classed under the fats and oils heading and its function is listed as an occlusive skin conditioning agent. To have a look at our effective Cellumend Cellulite Cream, please click here.